Metabolic Bone Disease (MBD for short) is one of the most prolific nutritional disorders seen in captive herptiles. It is a captive induced illness (not observed in the wild), and the term is used to describe a progressive non-infectious disease of the bone which covers a wide range of bone disorders. MBD can be divided into three categories: Osteoporosis – a reduction in bone mass due to dietary deficit or intense bone resorption. Osteomalacia – inadequate mineralisation of the bone. Osteopetrosis – excessive mineralisation of the bone whereby bone is thickened yet still remains fragile. Other conditions described under the term MBD include: fibrous osteodystrophy, secondary nutritional hyperparathyroidism, osteopenia, cage paralysis, rickets, osteogenesis, imperfecta and osteodystrophia. There are a number of causes including nutritional deficiencies or excesses, organ disorder or poor husbandry practices. Current common preventative measures include the provision of calcium supplements, vitamin D3 supplements and provision of UV-B lighting as appropriate for the species. The strategy for the correct management of reptiles varies widely from one species to another and involves: expressing different behaviours (basking, increased activity etc), different feeding preferences and environmental preferences. Perhaps the most well-known of these metabolic bone disorders is rickets which is characterised by the bowing of the long bones such as the femur or humorous along with flaring of the joints. This is observed during the early stages of MBD along with the gradual swelling of limbs and the shortening and bowing of the jaw bone. The reason why the jaw bone bows is because of the pulling forces the tongue exerts on the severely weakened bone of the jaw, a condition known as "rubber jaw". The swelling of the limbs may cause the animal to look well muscled in appearance but this is in fact due to the laying down of fibrous tissue in an attempt to increase the thickness in order to maintain strength of the poorly mineralised bones. Although the bones are thickened they still remain weak and prone to fracturing. This is particularly problematic for arboreal species where falls, which would usually not result in any injury, would cause fractures. Furthermore, reptiles at such an advanced stage of MBD often experience difficulty with shedding their old skin which results in an accumulation of multiple layers of skin that gradually tighten and restrict blood supply to the extremities, especially the toes resulting in toe loss. Eye-sight may also be affected negatively impacting on the reptiles’ ability to hunt or locate food. 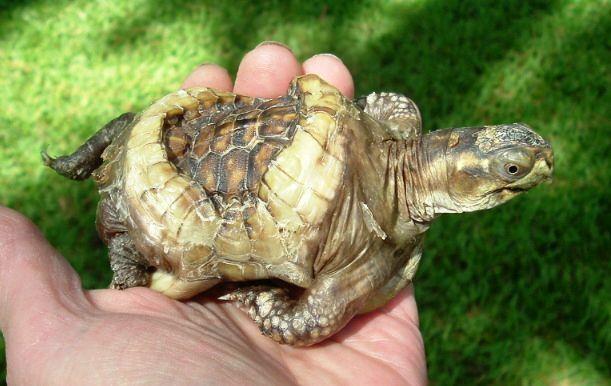 Chelonian species develop a condition sometimes referred to as "lumpy shell", where the edges of the carapace roll upwards. Muscles that attach the limbs of the animal to the inside of the shell will pull the carapace downwards creating pits. Pyramiding of the shell is also known to occur. Calcium is not only important for the integrity of bones but is also important for growth, muscle contractions (including the heart muscle), nerve-impulse conduction, blood coagulation and cellular movements and certain oxidative processes. Therefore MBD does not only affect the skeleton but other vital functions in the body too. During the early stages of MBD calcium is resorbed from the blood plasma, then later from the bone in order to maintain a certain level of calcium in the blood and allowing for other essential metabolic processes to continue such as muscle contraction and the conduction of nerve impulses. Eventually the calcium levels in the body reach a critically low point causing nerve impulses to slow, this can be observed in the animal’s behaviour. The animal will become listless and unresponsive and will eventually experience difficulty with coordination and mobility. In extreme cases, fine muscular twitching, spasms and eventually, paralysis and death can occur. Death can be the result of insufficient calcium to maintain the functioning of the heart muscle leading to cardiac failure and in severe cases muscular spasms can interfere with respiratory muscles resulting in asphyxiation. Starvation may be another cause of death as the weakened muscles make it difficult for the animal to seek out and hunt food and the deformation of the lower jaw make it difficult to catch or consume food. MBD frequently results from poor nutritional management and is entirely preventable. If not controlled, in severe cases death may result. The condition in all cases is either induced by insufficient or excessive vitamin D3, calcium and phosphorus in the diet and/or inappropriate levels of parathyroid hormone or calcitonin secretion due to poor functioning of the thyroid or parathyroid. There is a complex relationship between vitamin D3, UV-B light, calcium and phosphorus in the body which are all necessary for calcium homeostasis and the prevention of MBD. Calcium is an essential ion in the body which is responsible for a large number of important physiological processes. Calcum concentrations are maintained by the kidneys, intestinal tract and bones. Vitamin D3 aids the absorption of calcium from the intestines and is also responsible for the mediation of the resorption of calcium from the skeleton. Bones represent a large reservoir for calcium storage holding 99% of calcium in the body. The other 1% is plasma calcium which is the calcium found free in the bloodstream. The body will aim to maintain a certain level of plasma calcium available in the bloodstream so calcium can be instantly utilised for important physiological processes. When levels of plasma calcium drop the parathyroid gland secretes a hormone called Parathyroid Hormone (PTH) which stimulates the kidneys to manufacture an enzyme essential for the synthesis of vitamin D3 thereby improving rates of calcium absorption from the gut as well as reducing Phosphate concentrations to prevent hypocalcaemia (calcium deficiency). Another hormone called Calcitonin (CT) is produced by the thyroid gland and has effects opposite to PTH by preventing calcium from being resorbed from the bone into the bloodstream to prevent hypercalcaemia (calcium excess). When the diet is too deficient or excessive in calcium over a long period of time it can exceed the animals’ ability to maintain correct calcium homeostasis resulting in MBD. In addition to providing the appropriate levels of calcium to the diet of reptiles, it must also be noted that phosphorus is an equally important mineral that is able to influence the bioavailability of calcium. Even if adequate calcium is provided within the animal’s diet, the animal may still develop a calcium deficiency if fed excessive amounts of phosphorus. The reason for this is because phosphorus binds with free calcium forming an insoluble salt which is deposited within the calcified tissues of the body thereby reducing the levels of useable calcium. It is important to consider the interactions between the minerals in the diet in order to prevent the accidental initiation of calcium deficiency through the feeding of phosphorus in levels beyond what is required for normal growth. 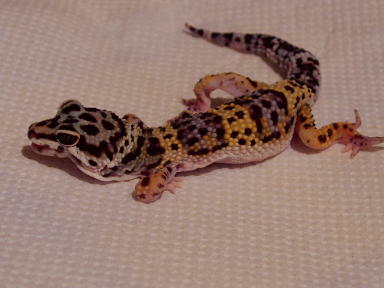 The ratio of Ca:P for reptiles is often quoted as being 2:1 respectively. If this ratio were to be altered by the excessive or insufficient feeding of phosphorus relative to calcium, the body would respond in an attempt to re-establish this fixed ratio. For instance, excessive amounts of phosphorus would result in the removal of calcium from the blood plasma and calcified tissues (especially bone) in order to maintain the correct relationship of the two minerals regardless of the total amount of calcium consumed. Once a significant imbalance of calcium and Phosphorus occurs, the parathyroid gland is activated, causing calcium stored in the bones to be removed, resulting in increased levels in blood plasma which is finally lost in urine, inducing MBD. Calcium and Phosphorus are very important minerals in reptile nutrition, but many captive diets are still not sufficiently balanced to achieve optimal growth and a healthy skeleton. Calcium deficiencies and excesses may occur for a number of different reasons, for instance, some foods contain oxalates, which bind to dietary calcium and prevent its absorption by the gut. These foods include: spinach, rhubarb, cabbage, peas, potatoes and beet greens which are occasionally fed to herbivorous and omnivorous species of reptiles in excessive amounts. Additionally, other foods contain very little calcium such as celery, cucumber and lettuce and therefore should be fed sparingly to herbivorous reptiles. In the case of carnivorous reptiles, feeder insects are generally very low in calcium content whilst inversely high in phosphorus. For this reason supplementation and ‘gut loading’ of the live prey is required. Feeding of meat without bone has also contributed to nutritional imbalances. Excessive phosphorus levels can be an issue as they cause the formation of insoluble calcium phosphate which reduces levels of usable calcium. There is considerable focus on insufficient calcium causing problems but it is important to be aware that excess can also create its own issues. Excesses in calcium can lead to the formation of renal stones which may induce nausea and sickness along with abdominal pain and the onset of renal hypertension, also acute pancreatitis, muscle weakness, fatigue and cardiac disorders. Causes include hyperthyroidism and hyperparathyroidism leading to the over activation of vitamin D3 and excessive absorption of calcium via the GI tract as well as excessive bone resorption and malignancy causing the hyper secretion of PTH. Vitamin D3 can be obtained either from the diet or produced in the skin after exposure to Ultra-Violet Lighting. A chemical compound called Pro vitamin D3 undergoes a photochemical conversion in the skin initiated by UV-B into pre-vitamin D3, which is then thermally isomerised into vitamin D3. Regardless of whether vitamin D3 was sourced from the skin or digestive tract, it remains biologically inactive until its conversion by two biochemical alterations which take place in the liver and then by the kidneys. It is important to note that a range of species-specific strategies are used to obtain adequate amounts of D3 for calcium homeostasis. Poor kidney or liver function could interfere with this process ultimately resulting in a calcium deficiency. Reptiles inhabit a diverse range of niches and have evolved a variety of adaptations for the acquisition of vitamin D3, either from dietary sources or UV-B. Many species may rely entirely on photobiosynthesis to obtain sufficient levels of vitamin D3, some depend on dietary sources and others a combination. Conversely, some species may require hardly any vitamin D3 to function optimally. Many commonly kept reptiles are from regions with high UV-B irradiance on most days of the year and would have developed mechanisms in order to take advantage of this, especially if dietary sources of D3 are scarce. 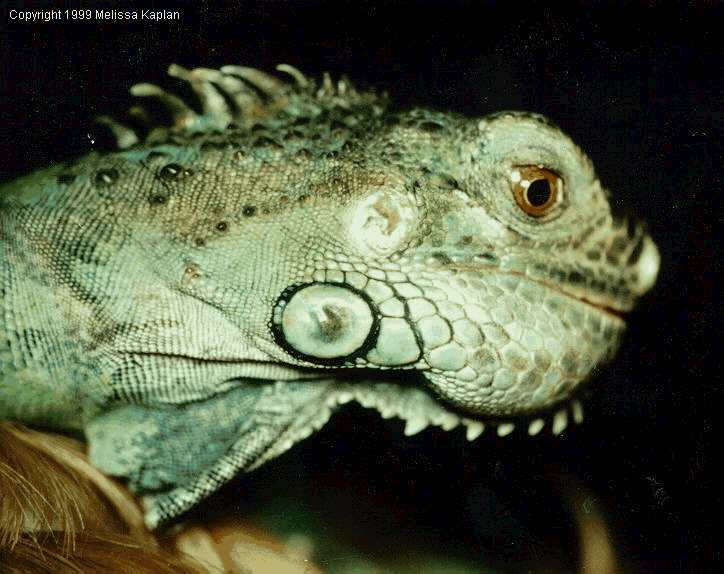 For instance, the Green Iguana (Iguana iguana) is one such species that lacks the ability to synthesise vitamin D3 in the body from dietary sources. This is because its natural diet consists largely of vegetation which, although high in vitamin D2, it is not usually hydroxylised into a useable form. For this reason UV-B light is required for the animal to metabolise calcium properly. Oral supplementation of D3 may not always be adequate for the prevention of MBD. 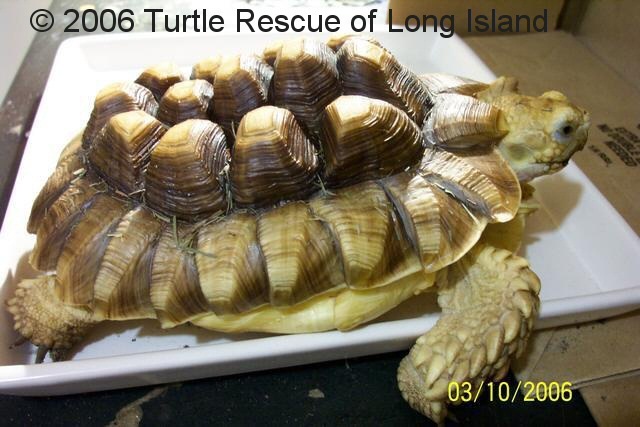 It is often assumed amongst reptile keepers that only diurnal species require exposure to UV-B. However nocturnal species may have a more sensitive mechanism for photobiosynthesis of D3 due to their limited exposure time. This may be facilitated through the evolution of thinner skin and decreased pigmentation allowing greater levels of UV-B to be absorbed. In various studies comparing the effectiveness UV-B on D3 synthesis between nocturnal and diurnal reptiles, species that are naturally exposed to less UV-B (i.e. nocturnal or crepuscular species) expressed the greatest rate of conversion, whilst the species that are naturally exposed to the greatest degree of sunlight (i.e. diurnal species) were revealed to have the slowest rate of conversion, meaning nocturnal species may benefit from even a very low level of exposure to UV-B light. It must be noted that long-term exposure to intense levels of UV-B may be potentially damaging with the risk of developing cancer and corneal or retina damage. However, reptiles will balance their ability to photosynthesize D3 with the avoidance of UV-B damage. Interestingly, some species of lizard (including F. pardalis) have UV-B sensitive retinas allowing them to differentiate between areas of high and low UV intensity. Different species will require different intensities of UV depending on their natural environment, for instance the Chameleon which lives in a forest environment would be exposed to a diffused level of UV due to increased cover from the foliage whereas a Bearded Dragon would be exposed to more intense levels of UV living within a more sparse arid desert environment. Environmental temperature is one of the most important factors to consider when housing reptiles as it has direct influence on the rate of all physiological processes. Heat is vital for the adequate digestion of food and utilization of dietary nutrients as well as the production of vitamin D3 as skin temperature is crucial for vitamin D biosynthesis. Pre-vitamin D3 undergoes a temperature sensitive isomerisation in the skin to produce vitamin D3. Therefore providing reptiles with appropriate heating is important for the prevention of MBD. Being ectothermic, reptiles must bask in order to maintain the correct body temperature. Reptiles must be provided with their preferred optimum temperature zone (POTZ) so it can maintain its preferred body temperature (PBT). POTZ allows enzymes vital in digestion and other metabolic processes to function at optimum levels. POTZ can alter depending on the time of day and seasonally meaning a change in temperature gradient provided to a captive reptile may need to vary along with natural changes in temperature to keep the animal functioning optimally. Heating devices must be thermostatically controlled and monitored by use of a digital thermometer (ideally one positioned over the cool side and the other on the warm side so the temperature gradient can be monitored and adjusted if required). There are two main forms of heating provided in captivity, the use of an under-tank heater (UHT) and overhead lamp. Different species will have their own strategy to obtain heat from their environment depending on their natural geographical location and normal waking hours. Heliotherms are animals which absorb heat from above (the sun or a heat lamp) whereas thigmotherms are animals which absorb heat from warmed surfaces (directly from the ground, rocks or other objects warmed by the sun or a UHT). Some reptiles may use a combination of strategies but all must be provided with an available source of heat which the animal can utilise using its range of species specific behaviours and adaptations. Providing a reptile with an incorrect form of heating may result in an inability to attain optimal temperature leading to a compromise in health. Not only is appropriate nutrition important for the promotion of correct bone formation (thereby preventing MBD), the level of mobility an animal is able to express can also impact on the formation of bones. This is due to the fact that bones are constantly remodelled, going through a continuous process of resorption and deposition in response to physiological needs. When greater mechanical stresses are placed on the bones through a higher level of activity, bone deposition increases in response causing the bones to be stronger. More sedentary individuals, i.e. those not provided with sufficient opportunity to exercise, will experience a decline in bone mass causing them to be more prone to fracturing. Reptiles by nature are limited in how much activity they are able to express due to their ectothermic nature. A reptile’s metabolic rate is much slower than that of a mammal and so it must conserve energy in response. However, it should be noted that the level of activity expressed between species varies. For instance, some species will adopt a sit and wait approach to hunting, feeding opportunistically to exert as little energy as possible, whilst others will actively hunt. Inappropriate housing and feeding may lead to obesity and the onset of fatty liver syndrome which may impact on vitamin D3 production and uptake of calcium. Some reptiles are kept in enclosures which restrict movement such as RUBs (Really Useful Boxes). Vivariums will also only allow for a limited range of activity generally only allowing the animal to move on a few customary pathways as these enclosures are long but generally lack width. Therefore the enclosure must be suitable to the entire physical needs of the reptile facilitating all manner of natural movement, for instance, arboreal species will require climbing apparatus to maintain normal physiological health. There are a few common methods employed to combat MBD, including supplementation of pure calcium carbonate, supplementation of vitamin D3 and provision of UV-B lighting for diurnal species. Despite the recommended ratio of 2:1 (Ca:P), common feeder insects such as the House Cricket (A. domestica) and mealworm (T. molitor) only have a Ca:P ratio of 1:7. This however can be amended through the provision of foods high in calcium for the feeder insects to consume, a practice known as gut-loading. This is recognised to alter the ratio of Ca:P to 1:1 in the House Cricket. For this reason additional calcium supplements are required to meet the reptile’s nutritional needs. Although insects fed to captive reptiles lack calcium they are considered an ideal food on the basis that they are very easy to culture in large numbers, easy to store, are of the appropriate size and are relatively nutritious in other respects. There is an additional positive effect for the natural behaviour of those reptiles that hunt, i.e. increased mobility encouraging the strengthening of bones. Insects can be occasionally dusted with a calcium/ D3 mixture, but calcium that is to be left in the enclosure for the reptile to consume ad-lib must be pure calcium carbonate to prevent overdosing of D3. Occasionally vitamin D3 supplements are used, particularly for nocturnal species that are not provided with UV-B lighting. It should be noted however that excessive feeding of vitamin D can cause hypocalcaemia which results in low blood calcium levels and the over-calcification of bones and soft tissues. Feeding of vitamin D during a calcium deficiency without provision of complimentary calcium supplementation, bones will suffer from excessive resorption. This calcification of the soft tissues can cause a reduction of the flow of blood to the vital organs of the animal and cause the formation of kidney stones to which may result in permanent kidney damage. Kidneys are an important organ for the excretion of excess phosphate and if damaged could result in a rise in phosphate levels leading to a decline in available calcium. Increased phosphate levels would also elicit the activation of PTH inducing resorption of the bone matrix. This dysfunction in bone turnover is known as osteodystrophy. Unfortunately there have been no controlled studies performed to identify toxic levels of vitamin D in reptiles so a general safe dosage is recommend for all species rather than specific to actual requirements. There is relatively little vitamin D3 present in the natural diets of reptiles, and because of this natural lack of dietary D3 there are no mechanisms to prevent the uptake of excessive levels as it is then transported directly into the blood stream. Many species (especially diurnal species) require a source of UV-B light in order to be able to acquire appropriate levels of D3. There is evidence to suggest that basking behaviour does not just serve as a thermoregulatory behaviour but may be modified in order to increase exposure to UV-B radiation, particularly if dietary sources are lacking. Through modification of behaviour in response to vitamin D requirements, some reptiles may be able to regulate their own vitamin D intake without risk of overdosing as could happen through oral supplementation. The amount of UV-B irradiated within a species natural habitat varies with latitude, time of day and altitude, therefore the requirements for specific species will vary depending on the evolved mechanisms to utilise the available UV-B within its natural environment. Requirements will also alter depending on the life stage of the animal, it is presumed that growing animals have increased requirements for Ca, P and D3 and non-reproductively active adults may be more tolerant of low levels of Ca, P and/or D3 or low exposure to UV-B. The provision of adequate lighting is particularly important for young animals and those who are reproductively active, especially females. In the wild the source of heat and UV-B are emitted from the same place, the sun, whereas in captivity heat lamps and UV-B emitting lights are both required, separately providing heat and UV-B. This can be an issue if the heating and UV sources are positioned in different areas of the enclosure. The animal may meet increased demands of vitamin D3 by altering thermoregulatory behaviour meaning they will bask under a heat source rather than under the UV-B lamp reducing the potential for exposure to UV-B radiation. Additionally, low skin temperature may also interfere with the isomerization of pre-vitamin D3 into pro-vitamin D3 resulting in deficiency. The UV-B spectra output of a UV light is dependent on the phosphor used, composition of the glass, the temperature the light is operating, how long the light has been used for and the number of start stop cycles. It should be noted that the specific wavelength to allow for maximum conversion of pre-vitamin D3 into pro-vitamin D3 in the skin can vary between species. The placement of the UV-B lamp can directly impact on the level of UV-B radiation the reptile is exposed to. Irradiation of UV-B will decline rapidly if the lamp is placed high above the ground due to the dispersal of light. Ideally the UV-B lamp should be situated within 30cm of the heat lamp. It is further recommended that the amount of UV-B radiation be measured using a UV-Light meter during the burning life of the lamp so they are replaced once UV-B emittance declines, which may not be the same as the manufacturers recommendation. As a rule of thumb these lights should be replaced every 6 months. Captive reptiles are commonly kept indoors which limits their exposure to solar radiation, a particular problem for sun basking reptiles. In order to offset this issue UV-B lighting is provided to replace that which would naturally be obtained from the sun. However, what must further be considered is the natural intensity of UV radiation the reptile would encounter in situ. It is apparent that mechanisms of control through behavioural, physiological and morphological adaptations have evolved to utilise what is naturally available whilst simultaneously avoiding harmful levels of exposure. This is achieved through the permeability of the skin to UV radiation, the preferred waking hours of the reptile (diurnal, crepuscular or nocturnal) to avoid or increase levels of exposure to UV-B and basking preferences (on warmed surfaces during crepuscular hours with minimal exposure to solar radiation or in direct sunlight for variable periods of time). In addition the natural geographical location of the reptiles must be considered as natural light composition and intensity can alter with location. 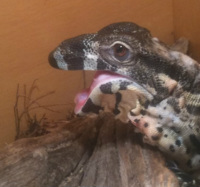 Nutritional demands vary during the different life stages of the reptile. During each stage the provision of nutrients must alter in order to meet the animals’ nutritional requirements, for instance, juveniles will experience rapid growth and are thought to have higher demands for calcium, phosphorus and vitamin D3. Reproductive females will also require additional calcium supplementation as the formation of eggs creates a high demand for calcium. Although the provision of natural sunlight may be possible, the intensity of sunlight in the reptiles’ natural habitat may be much greater than the country the captive animal currently resides in. Artificial sources of UV-B may be necessary to mimic the specific intensity of day lengths experienced in the wild for optimal health. Not only is it important to understand the differences between species but there must also be a greater understanding of the variations in requirements in life stages of the animals as well as seasonal changes. It is evident that dietary sources of D3 may not be as important as previously suspected and that UV sources may play a greater role. Caution should be taken in regard to the recommendations of manufacturers as UV-B lamps will degrade over time and may need replacing sooner than it is recommended. Monitoring of the level of UV-B irradiance may be necessary to maintain optimal levels of UV-B within the environment. There are still large gaps in knowledge regarding species-specific requirements, which may indicate that there are still potential issues with the current care of captive animals. Treatment in the early stages of MBD can reverse the damage caused with no long-term effects, however if the condition is allowed to progress, more severe damage to the skeleton cannot be reversed, therefore prevention is important. Herbivorous species such as the green iguana are particularly susceptible. In addition young animals are particularly affected due to their increased rate of growth as there is a higher demand for calcium for bone formation, whereas bone development in adults will have already ceased so the effects of poor nutrition are not as profound. Any condition of the bone is always associated with MBD but this may not be a result of poor supplementation of calcium or D3 but may be secondary to other disorders induced through poor captive management such as excessive feeding of protein and fats, poor enclosure setup, restricting activity, secondary to hyperthyroidism, hyperparathyroidism, disease of the kidneys, liver or gastrointestinal system, in which case prevention is not through supplementation or provision of correct lighting but a greater understanding of other aspects of appropriate care. As a reptile keeper it is the owners responsibility to adequately research the specific requirements of the species in their care and provide adequately and appropriately for that species. Preventative measures seem to focus on dietary supplementation or UV lighting with little focus on the other influences the animals environment may have on nutritional requirements and health. There is an increasing diversity of species being kept in captivity with increasing need for more research and a greater understanding for species-specific care. Ackerman, L., (1998). The Biology, Husbandry and Health Care of Reptiles (Vol I, II & III). T.F.H. Publications. Bernard, J., Oftedal, O., and Ullrey, D., (1996). Idiosyncrasies of Vitamin D Metabolism in the Green Iguana (Iguana iguana). Proceeding, Comparative Nutrition, 11-14. Bernard, J., Allen, M., and Ullrey. D., (1997). Feeding Captive Insectivorous Animals: Nutritional Aspects of Insects as Food. Nutrition Advisory Group Handbook, 3: 1-7. 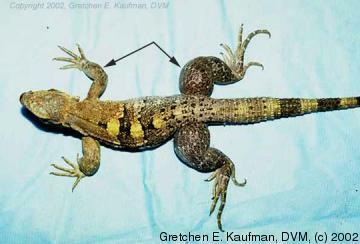 Opportunity and Ability for UVB Generated Vitamin D Synthesis in Free-living House Geckos (Hemidactylus turcicus) and Texas Spiny Lizards (Sceloporus olivaceous). Copeia, 2000 (1), 245-250. 1Ferguson, G., Gehrmann, W., Hammack, S., Chen, T., and Holick, M., (2002). Effects of Dietary Vitamin D and UVB Irradiance on Voluntary Exposure to Ultraviolet Light, Growth and Survival of the Panther Chameleon Furcifer paradalis. Biological Effects of Light 2001. Ferguson, G., Gehrmann, W., Karsten, K., Hammack, S., McRae, M., Chen, T., Lung, N., and Holick, M., (2003). Do Panther Chameleons Bask to Regulate Endogenous Vitamin D3 Production? Physiological and Biochemical Zoology, 76 (1), 52-59. Ferguson, G., Gehrmann, W., Karsten, K., Landwer, A., Carman, E., Chen, T., and Holick, M., (2004). Ultraviolet Exposure and Vitamin D Synthesis in a Sun-Dwelling and a Shade-Dwelling Species of Anolis: Are There Adaptations for Lower Ultraviolet B and Dietary Vitamin D3 Availability in the Shade? Physiological and Biochemical Zoology 78 (2), 000–000. Greenstein, B., and Wood, D., (2011). The Endocrine System at a Glance. Blackwell Publishing ltd.
Krottlinger, J., (1993). Keeping Reptiles and Amphibians. T.F.H. Publications.